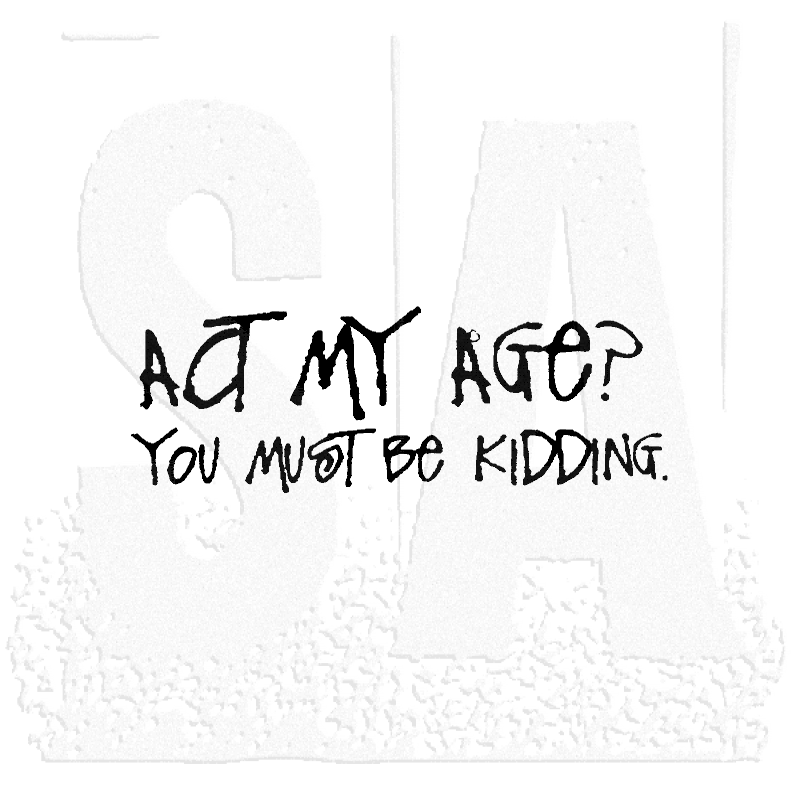 Studio 490 Wendy Vecchi Wood Mounted Stamp: Act My Age? 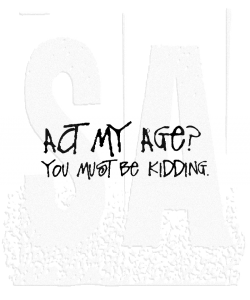 'Act my age? You must be kidding.' measures approximately 1 3/4" x 5/8".